A fighter’s true character, courage and resolve truly shine when he is called upon to battle with little preparation, and last night, Vicente Luque showed us all of that and more. In what was an eventful UFC Fight Night in Sao Paolo with Lyoto Machida making his long-awaited return to the octagon, further down the fight-card was a bout that wasn’t in the “original programming”. Niko Price may now well be wishing he could turn the clock back, as he was originally intended to take on Luan Chagas. However, 3 weeks before the fight, Chagas fractured his foot and as such was unable to make it to Sao Paolo. Vicente Luque was promptly slotted in to take Chagas’ place against Niko Price. Price probably thought he hit the lotto, as taking on an opponent without a full camp is often an advantage, however, Luque, being the dynamic fighter he is quickly quelled that presumption and laid out Price after a flurry of strikes culminating in a submission in the 2nd round. It was nasty, nothing short of filthy, as the crowd went into a frenzy upon seeing their countryman further cement his name in the welterweight division. Luque’s willingness to fight without a full camp, coupled along with his impressive performance, is nothing short of a testament to Henri Hooft’s teachings. Although fighting and training out of Brazil, when he is stateside Luque can be found at Hard Knocks 365 striking pads with Hooft, or rolling with compatriot Gilbert Burns. Furthermore, the Brazilian is only 25 years year of age, and has finished 5 of his last 6 bouts. With a record of 12-6-1, Luque is sure to have a long and successful career head of him. In other news, Danny “Hot Chocolate” Roberts has hinted that his next fight could be soon with a cryptic post on his Instagram page. The British fighter boasts an impressive record of 14-2, and most recently knocked out Bobby Nash at UFC Fight Night 113 inside the second round in Glasglow, Scotland. For more updates, follow our Instagram, facebook, twitter and youtube. FORT LAUDERDALE, Fla., July 6, 2017 /PRNewswire/ — Hard Knocks 365 (HK365), an all-access fitness training center, is pleased to announce it is open for business at Xtreme Action Park, South Florida’s premier indoor entertainment complex. Within the walls of the 30,000-square-foot facility there is an indoor field turf, soccer field (coming soon), two fully-sized basketball courts, heavy bags, fully-equipped weight room, 4,500 square feet of matting for combat training, men’s and women’s locker rooms, showers, and more. All your fitness & sports performance goals can be achieved under one roof! The venue has three core functions; sports performance training (XPE Sports), combat training (kickboxing and Brazilian jiu jitsu) and basketball (The Alliance Arena). With this instilled variety, there is something for everyone under the Hard Knocks 365 roof. The gym’s already existing roster of professional athletes includes MMA fighters Michael Johnson, Robbie Lawler, Volkan Oezdemir and Michael Chandler, as well as NFL players like Darrelle Revis, Anquan Boldin, Mark Ingram, Pierre Garçon and Byron Maxwell. When your trash-talk starts becoming reality, it is a clear sign you’re a fighter of the utmost highest caliber there is. After Kamaru Usman dispatched Sergio Moraes with ease at UFC Fight Night 116, in his post-match interview he proclaimed that he was “a problem” for the welterweight division with an intent to take the division by storm. Said and done; in being such a dynamic and cunning fighter, Kamaru Usman has not only created problems for the welterweight division, but problems for himself. Yes, the Nigerian Nightmare has vocalized on many occasions that he wants a top 10 opponent, but it seems either the UFC won’t grant it, or his opponents are flat-out ducking him. Now, Usman is poised to take on Emil Meek at UFC 219. Hardly a top-10 match-up, Meek has only one UFC fight under his belt which he won. Even Meek himself, took to twitter to reiterate that Usman is undoubtedly a problem. “I’m going to bed! Hope I don’t get nightmares”. “This can’t be true, no one wants to fight Usman, he’s a problem”, tweeted Meek upon hearing the news. Although this could be just standard-practice tongue-in-cheek banter to hype up and thus promote the fight, rest assured that there is some shred of truth stemming from Meek’s tweets. Usman’s overall record currently stands at an impressive 10-1, having only ever lost his second fight, years ago. He is also no stranger to the UFC, making his debut in 2015 by emphatically winning The Ultimate Fighter 21 with a performance of the night bonus, and as such, he is on a 6-fight win-streak and showing no signs of slowing down. Even though his opponent isn’t a headline-grabber, Usman will still draw the spotlight at UFC 219 on December 30th at the T-mobile Arena as the event will be the UFC’s last before the year closes out. And with rumors circulating that Daniel Cormier versus Volkan Oezdemir could potentially headline this event, Usman will surely make waves in both the division and the MMA community. Not every week can be glorious and you can’t win every fight. Last week was a week to forget with Daniel Straus being submitted at Bellator 184 in the third round, and Nik Lentz succumbing to diabetic-like symptoms before his weigh-in for UFC 216. But then again, as the old, extremely cliché saying goes, “it’s not about how many times you get knocked down, it’s about how many times you get back up”. And Henri and his team are unquestionably on the up-and-up. In more positive news, Robbie Lawler versus Rafael Dos Anjos has officially been announced as the main event at UFC on Fox 26 in Winnipeg. This comes almost as no surprise since Lawler was back on the mat training with Henri pretty much immediately in the wake of his emphatic victory of Cowboy at UFC 214. With Jose Aldo versus Ricardo Lamas co-maining, Glover Teixeira going toe-to-toe with Misha Cirkunov, and Minotauro making his return after a year versus Jared Cannonier, you would think this is a PPV card, but no, the gods have blessed us with a high-stakes fight card that rivals another recent free event in UFC Fight Night 116. In fact, UFC on Fox 26 is so high-stakes, that Dana white announced the winner of Lawler versus Dos Anjos would get a shot at Tyrone Woodley’s belt. After getting the belt taken from him by Woodley himself, this is the sweet revenge that Lawler will be striving for, and Dos Anjos is just one more hurdle in that quest. And finally, wrestling extraordinaire Logan Storley is also poised for a fight against Matt Secor at Bellator 186 on November 3rd, which coincidentally will also feature another high-profile fighter at Hard Knocks 365 under Henri’s tutelage, Linton “The Swarm” Vassell. Vassell, as written on here many times before (and many more times to come), will be headlining Bellator 186 for a title fight against former UFC vet Ryan Bader. For more updates, follow our Facebook, Twitter, Instagram, and Youtube. There’s nothing like fighting on home turf. When you’re from a country that is considered the mecca of kickboxing, trained by someone who is from the mecca of kickboxing, and fighting in your country that is considered the mecca of kickboxing…well…there’s little that can go wrong. Robin van Roosmalen has just defended his Glory Featherweight title in an intense fight against Serhiy Adamchuk via unanimous decision in Amsterdam. You would think a headline of that nature was written in the stars, but it was all Robin “Poker Face” van Roosmalen’s own doing that earned him this clear-cut victory. Adamchuk tried to work the outside but RVR’s constant forward pressure was simply too much to contend with for the Ukrainian. But perhaps this title defense was written a little in the starts, seeing as van Roosmalen won the bout on the stroke of his birthday, October 1st. The now-28-year-old boasts an impressive record of 51-6-3 and shows no signs of stopping or slowing down. Although he trains primarily in Holland, when he is stateside, he can be found training with Henri Hooft at HK 365. Yes, Hooft is making HK 365 seem like a perpetual talent factory more and more, and he is no doubt about to shoot further into stardom given that Daniel Cormier and Volkan Oezdemir have made it impeccably clear that we want to face one another. Beyond that, Hooft is sending 3 more of his troops into battle. Daniel Strauss will be facing Emmanuel Sanchez at Bellator 184 at the Winstar World Casino in Thackerville, Oklahoma next week on October 6th, Nik Lentz will be taking on Will Brooks at UFC 216 at the T-Mobile Arena the day after on October 7th, and finally Linton Vassell will be headlining Bellator 186 on November 3rd at the Bryce Jordan Center in Pennsylvania in a shot to take the title from former UFC light heavyweight Ryan Bader. It is no doubt going to be a very busy month for Henri and is men, and he hopes to bring home a title before the year closes out. 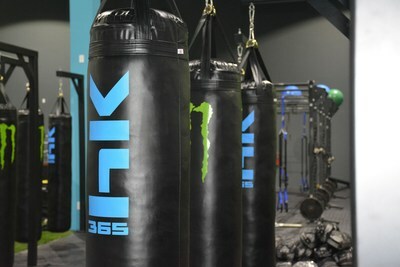 HK365 offers sports performance and combat training, including kickboxing and Brazilian jiu jitsu. Pow. Game, set, match. Wow. I don’t think Henri Hooft could have had a better night at UFC Fight Night 115. All 3 of his fighters, Gilbert Burns, Kamaru Usman, and Luke Rockhold, ended their fights with knockouts. Ok, Rockhold’s wasn’t a knockout, but he made David Branch tap after a vicious ground-n’-pound that left no shadow of a doubt concerning his abilities despite his brief hiatus due to injury. In the process, he snapped Branch’s 11-fight win streak, and in a post-fight interview, called out GSP for having no place in the middleweight division, or even the UFC. Durinho, on the stroke of the 3rd round, with only 5 seconds to go in the 2nd round, put Jason Saggo to sleep with a vicious right overhand. It connected so sweetly, that the Brazilian didn’t even follow-up with some hammer-fists. We all know Gilbert is a notorious BJJ practitioner, but he made a huge statement on Saturday, proving that he’s got more than just ground-game in his locker. After that strike, Durinho is a definite force to be reckoned with in the lightweight division. Kamaru’s knockout, was also unforgiving. He packed so much power into his punch, that somehow, some way, Sergio Moraes rolled forward upon hitting the ground. “I’m a problem” – The Nigerian Nightmare’s words echoed throughout the MMA community as it made headlines and sent chills down the spines of the rest of the welterweight contenders. In more recent news (as I am typing this, actually), Daniel Cormier has welcomed the idea of taking on Volkan Oezdemir, whom trains under Henri Hooft as well. DC tweeted “we can make this happen”, while also entertaining the idea of taking on Alexander Gustaffson. Volkan, who incidentally also called out Gustaffson shortly after his win versus Manuwa, took to social media to respond right away. One to never shy away from a challenge, Volkan immediately responded “for sure, let’s do it” via both his Instagram and twitter. With the top 3 Light Heavyweights embroiled in a three-way “call-out feud”, it’s practically written in the stars at this point that Volkan will get his title shot sooner rather than later. And with his 1-round knockout track record, it could be lights out for Gustafsson and DC sooner than they’d expect. To Read The Full Post Click Here!